Congratulations: You’re doing a blog. You’re thinking about search engine optimization (SEO). You have the machinery in place to consistently produce a couple of posts per week on topics that will interest customers and prospects. Now: How will they find you? One of the reasons I favor blog posts and other content is that it is search engine bait. When someone is searching on a problem they have that you can solve, your content is the most likely way they will find you and see you as the solution to their problems. Here’s a video from Rand Fishkin of MOZ on how to make it a practice (key concept!) 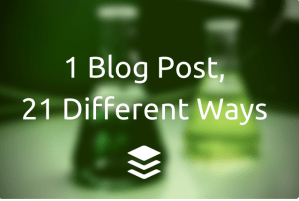 to make your blogs (and other content) appeal. Make your content unique and valuable. Are you solving a customer problem? Think about who you want to reach (executives? coders? bakers? managers? ); what you want them to gain; what you want them to do as a result. Pick 3-5 search terms as your target for this article. All should have same searcher intent and be juicy terms that people actually search on, are reasonably unique, and have great click potential. Look at who else appears for those terms and readjust of you realize you can’t compete. Now: Make your posting, armed with knowledge about what will work. Do the appropriate technical tasks and keywording. Watch your results so you can learn and adjust. Content marketing solution Kapost has announced their list of the top 50 content marketers. They look like excellent choices, based on the dozen or so whose work I know. These are great ones to study for wise practices. Many of these are brands I follow, even if I am not a customer, because of the quality and usefulness of their content. You can bet they will be considered when I, or a client, needs what they provide. A good example is HubSpot, which produces a steady and amazingly prolific drumbeat of marketing articles, mostly lightweight enough to absorb in less than 15 minutes. Likewise, MOZ.com is a favorite of mine — highly prolific and highly valuable articles in a range of media. Check out their whiteboard Friday videos. The list seems to favor marketers, perhaps because the folks at Kapost have a tendency to follow material from marketers. That makes this a good list of companies we marketers should be following! Biggest Content Marketing Issue: You’re Not Doing It! You know content marketing is hot. You’ve known it forever. Even before it was everywhere, before it was in the Wall Street Journal, before it even had a name, you already knew content marketing was a good idea. And you probably already know it will produce results for you. You’re probably doing some — you have some web articles here, a Twitter post there, some PDFs tucked in the corner. But you have no strategy, no procedures, no one with performance goals for producing content, no metrics. Is that you? It’s most of us. Despite being convinced it works, less than half of marketers have a documented strategy1. 93 percent of marketers use content marketing, but just 42 percent of B2B marketers consider themselves effective at it2. Another source claims 77% Of B2C marketers use content marketing, but 21% fail to track its ROI3. It’s not because a proper content marketing program is hard work — it is, but difficulty doesn’t stop us, does it? 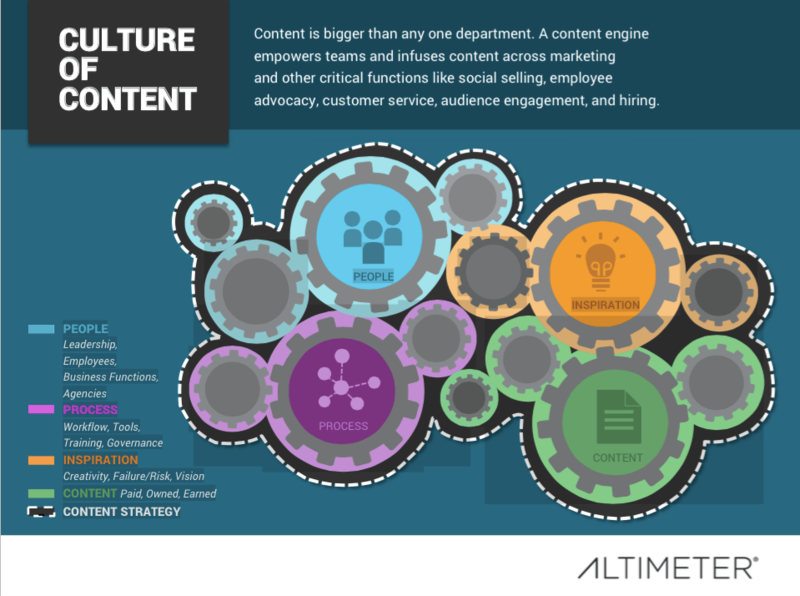 I think that most enterprises aren’t there yet because content marketing requires the whole enterprise. You can’t do it on your own by convincing the CEO to write a check, by bringing in a consultant, or by buying something from Oracle. Why don’t we just do it? You need the whole company. You need sales and marketing to develop messages, personas, taglines and elevator pitches, unique value propositions, and buyers’ journeys. You need material, which means stealing time from some of the best technical people in the company. You need high-level editing, which probably means hiring. You need databases and infrastructure from the web team and from IT. You need the search marketing team and analytics support. Strategy first: If you can afford the time and think you can sell it, start with a strategy. Then sell it and execute. As you begin, come up with the measures that will prove the program, and measure a baseline. That may make it easier to resell the strategy when resources are pulled back (and since you’re tapping resources in many departments, pull-back is inevitable). Tactics first: Strategy-first is a wonderful plan but many organizations lack the discipline. So pick up the ball and run! Begin with what you have and can do now. But as with the strategy-first plan, establish metrics first and take a baseline. Eventually, someone will notice what you are doing and if you can’t show results, you’re content marketing program will be instant toast. See: Content marketing: Getting started. The good news is that you will find allies everywhere because we all know that in the 21st century, content serves customers and supports business goals. So it’s a question of finding a way to do something we all agree is a good idea. 144 percent of B2B marketers and 39 percent of B2C have a documented strategy. A couple of days ago, Google announced that it would favor sites that encrypt via HTTPS. Should people with websites — including smaller sites — be doing something about it? The answer is yes, and here’s why. You may have noticed that when you use certain sites, especially major sites like Google and Facebook, and financial and e-commerce sites, a padlock icon appears. If you’re a keen observer, you may have also noticed that the first letters of the web address (URL) changed, adding an “s” to the “http://” that precedes most website addresses. The “s” stands for secure. It means traffic between you and the website is encrypted. If someone out there (say, at the coffeeshop or hotel whose wifi you’re using) intercepts network data, it is much less likely they can listen in. While using HTTPS on large sites that handle financial transactions is obviously important, the Internet community would really like to see it used everywhere because the bad guys are piecing together small bits of data (such as where you live) and use it to gain greater access. Google says it will elevate search results for sites that use HTTPS. What does that mean? If someone is searching for your product and your competitor is using HTTPS and you are not, your competitor is more likely to appear higher on the page, assuming all other factors are equal. It probably will be a small advantage at first but it’s likely to become more significant, given how Google addressed page speed. Years ago, Google announced they’d give preference to faster sites. That advantage started small but over the years, it became greater. Then, as now, Google was using its power to encourage website owners to make the web better, and to deliver better sites to their users. I’d wager that they will do the same thing for encrypted sites and increase the incentive as time goes on. If you manage a commercial site of any size, add HTTPS. It’s not a do it yourself activity, for most people. Your webhost or the techies who built your site should know how. Repurposing is in the air! And no wonder: who doesn’t want to multiply a piece of content into a dozen or more? Readytalk’s Bo Bandy started the ball rolling with a process for building 19 pieces of content from one. An infographic diagrams the process (below). Want a more comprehensive list of ways to republish? 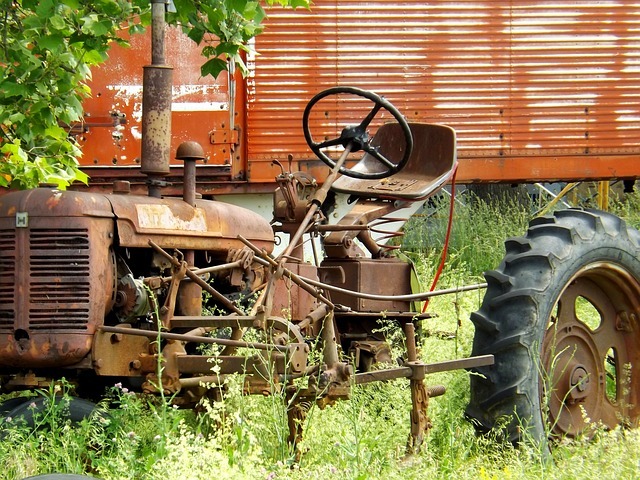 BufferSocial’s article (thank you, Boots Wang for sharing this find) details 21 ways to repurpose content. Republishing is not just a cut and paste job; some finesse is required. Customize the content to take advantage of the medium and drive traffic. For instance, I might do a blog post that refers to an article I posted. The blog post would be highlights, with a link to the article. Think about the intent: do you want to tell the whole story, or lead readers to the article? And replicating the article without editing would look like duplicate content to the search engines. Finally, my friend Erin Mannas sent me the beast of republishing, claiming 100 pieces from one! From Oracle, comes How to Turn ONE Piece of Content Into 100. There are limits to what you can do but here are some more ideas from Bill Widmer for how to post, repost, and post again. The point is not just massive cloning and productivity — it’s about reaching customers and prospects with material that appeals to their needs. What do your targets want, where do they hang out, what would they read and pass along? 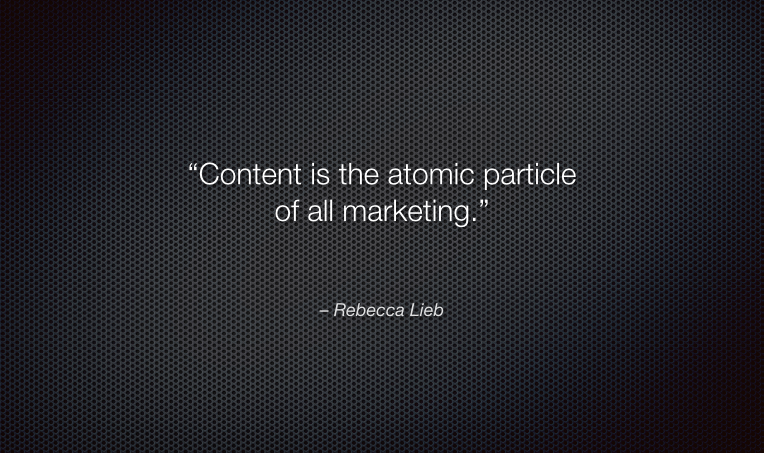 If done well, you can not only multiply your content, you can spread the impact over time. Do that for all your content and you have achieved a drumbeat of marketing that your desired audiences cannot fail to notice.